In 1936 The Brotherhood of Light, the parent organization to the current, self-described, non-profit, religious, altruistic organization founded upon Hermetic Traditions, The Church of Light, published “The Brotherhood of Light Egyptian Tarot”. It was a black and white deck featuring designs by Gloria Beresford. Unlike many tarot decks that exist solely for use in divination, “The Brotherhood of Light” deck acts as a companion to “The Sacred Tarot” by C.C. Zain, the founder of “The Brotherhood of Light”. Why am I talking about a 74 year-old tarot deck? 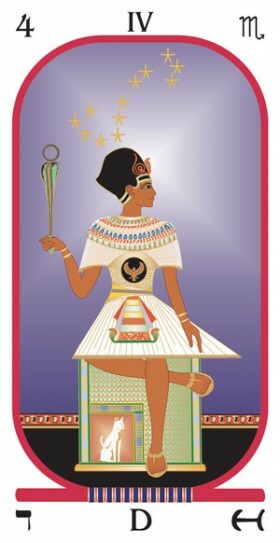 Because in 2003 Vicki Brewer redrew the original black and white images and in 2009 she redesigned the cards into a full-color Egyptian tarot deck. In 2010 U.S. Games Systems was kind enough to send me the deck to take a look at. First, because let’s face it, it’s the thing most people want to know, how does the deck look. As an amateur at best in things tarot and Hermetic, I would call the design Egyptian art deco. The images are striking, the colors sharp without over powering the art, and the cards are in the standard tarot size making them no harder, or easier (Am I the only one who has trouble wrapping their hands around a tarot deck? ), to handle than any other deck. Of course this is the description from an untrained eye. In reading the 48 page booklet that comes with the deck, you discover how much thought and consideration was given to every single thing you see on the card. The meticulous attention to “Brotherhood” detail is amazing and I assume greatly appreciated by The Church of Light. Following in the tradition of the Hermetic Brotherhood of Light, these tarot cards are an integral part of an internally consistent exposition of occult science in which astrology, alchemy, and magic (the tarot) are integrated. Unique to this system is the correspondence of the twelve zodiacal signs and thirty-six ultra zodiacal decanate constellations to the Major and Minor Arcana. The booklet goes on to explain the importance of the color with regards to focusing the unconscious mind and the correlation between these colors and astrological correspondences and the tarot itself. Also, the booklet explains interpreting the cards with regards to divination and offers a few spreads to try with them. 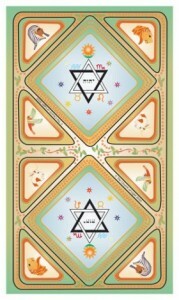 “The Brotherhood of Light Egyptian Tarot” booklet features excerpts from “The Sacred Tarot” by C.C. Zain. It is interesting reading. For those of you with interest, I checked the current Church of Light website, and you can order “The Sacred Tarot” as a hardbound for $21.95 before shipping and handling. The site also lists an ISBN number, so you may be able to have it ordered through your favorite local bookstore. As a dabbler, the content in the 48 page booklet is good enough, but I figure some of you guys out there would be interested in it. The good news is that U.S. Games Systems is handling “The Brotherhood of Light Egyptian Tarot” so you should be able to find it anywhere that carries tarot cards, or have it ordered. 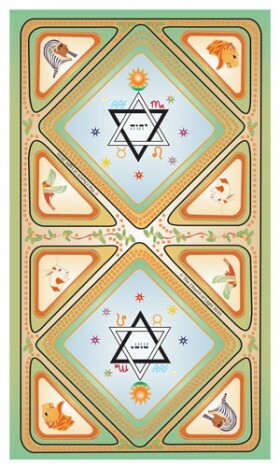 After some thought, I have to say, this deck would make a great addition to any tarot enthusiast’s collection. With it’s attractive art, roots reaching back to 1936, and it’s unique perspective, it would be at home in the hands of many different tarot readers/collectors.